Ever since the Pakistani film industry has entered in its 'post-revival' phase, renowned TV actors are increasingly taking part in cinematic endeavors. Many of them are applauded by the audience, while some fail to impress due to weak screen presence and acting prowess. There are still a few bigwigs from the small screen who are yet to make their film debuts and we aren't quite sure if we can wait for that long. 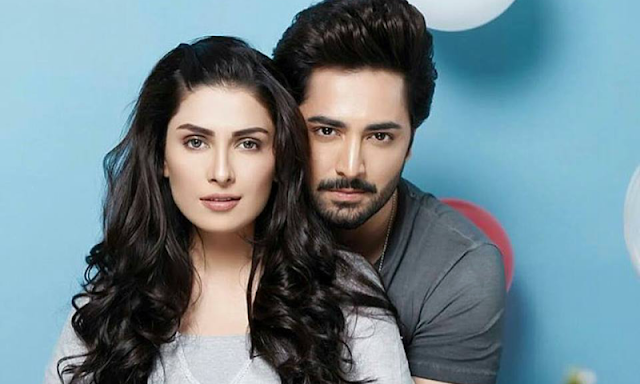 And seems like the wait is over as popular actor-turned-producer and Khan’s better half, Danish Taimoor has confirmed debut Ayeza will make her big screen foray alongside him. “I might produce the film as well,” he told us. “Ayeza will be debuting in a film with me. We have been offered multiple scripts, and we are indeed considering a few, can't say much right now as we haven't officially signed any,” Taimoor continues. He even mentioned that Ayeza had hoped to make her cinematic debut with him, but will obviously be working with other actors once she enters the scene fully. The Wrong No. actor further told us that the two are waiting for right script. Preferably love stories, where the couple can have enough margins to translate their sizzling real-life chemistry onto the reel-life and manage to entertain their fans.